Spurred on by the success of both Rhino and Scorpion’s numerous releases since their debut back in November 2014, Jon Karris and Glen White over at Little Rubber Guys are proud to announce the return of their mini action figure line Rise of the Beasts for a second series! Tripling the initial line-up with 4 new characters; the original Lion/Asayid and Gorilla/Guwrah (previously scheduled for series 1), a modified version of the Horned Lizard/Khabasat, plus the all-new, wickedly cool, Ant! Standing at around 2.25″ and featuring 4-5 points of articulation each (a huge feat for such a small scale! 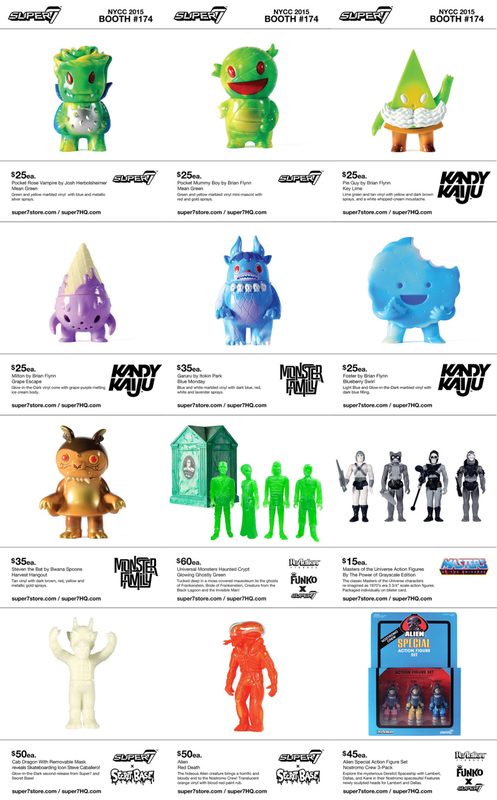 ), each Glyos-compatible figure is due to be produced at the legendary Onell factory in China, coming in a similar rubbery-but-firm PVC seen in the likes of Glyos and OMFG. Currently available through a new Kickstarter campaign right here, a huge variety of different purchasing options are up for grabs, ranging from single, blank figures plus a weapon for $5, painted figures for $8, weapons packs, also for $8, and GID 2 packs for just $11… Go check them out right here before the campaign closes in few weeks time!